After lunch at a little restaurant in Apt, we drove to Bonnieux. We weren't impressed; it was too touristy and not that nice as other village. We walked around little bit and drove to Lacoste. Lacoste wasn't that interesting either. Lacoste is best known for the resident, Marquis de Sade. But the château wasn't that interesting either. We could see Bonnieux from Lacoste hill. The highlight of the day was the Colorado Provençal. 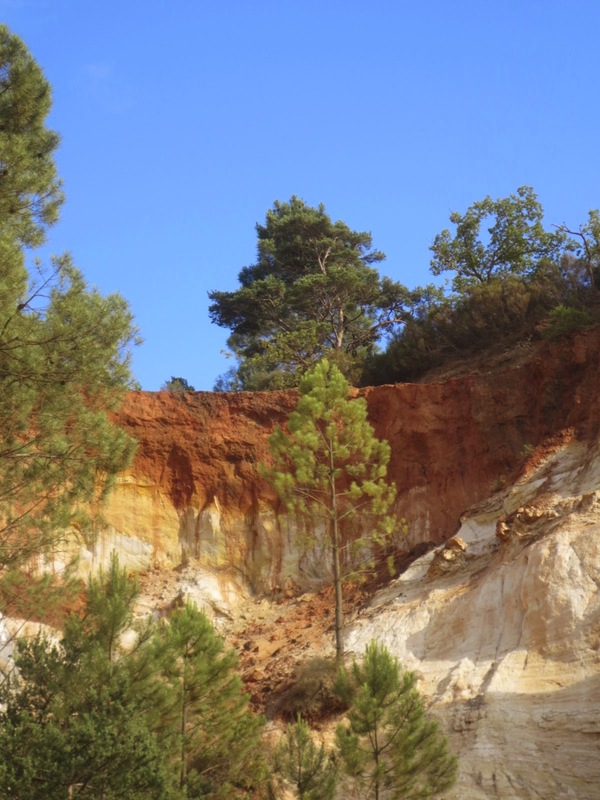 It's another ochre place in Luberon. It was very easy to reach from Apt, worth going for early evening hike. Don't confuse with sign, Colorado Adventure. It's not a same thing. 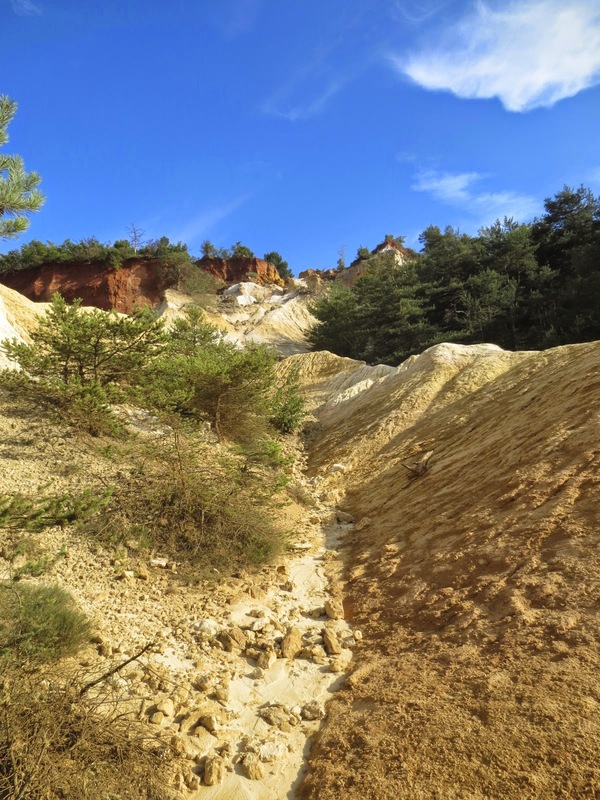 You can choose from 3 easy trails but be careful! make sure that you follow the trail marks. We lost little bit and it wasn't fun! See how beautiful it is! This photo was taken around 7pm so go there little late in the afternoon for the good light! Next day we decided to stop in Gordes. Well it's one of the plus beaux villages in France but it wasn't that impressive either! If you ever type Gordes in Google, you will see this image over and over because there is very popular bus and car stop place that you can take this photo :) well we had to do same thing! Fontaine de Vaucluse. The most touristy place we'd been in this trip. But it was worth it. The water was so clean! Ben climbed over the fance and checked the actual fontaine but he said the water level was very low and dirty apparently. It was great trip! Now we'd love to stay home in Montpellier, relax, and enjoy our beautiful garden.